With a task-oriented approach to problem solving, Discovering GIS and ArcGIS teaches the basic skills required in these areas through real-world, on-the-job scenarios. From calculating the distance betweent two library branches, to figuring out the minimum height rquired for an observation deck in a new building design, these situations put you into a professional mindset for greater success once you've begun your career. 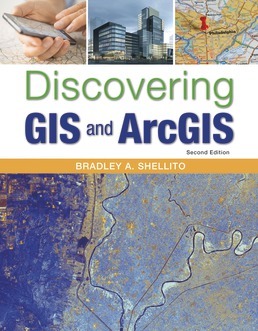 Chapter 1: How to Use Geospatial Data and ArcGIS. Chapter 3: How to Create a Map Layout with ArcGIS. Chapter 4: How to Create a Web Map and Share Data Online with ArcGIS. Chapter 5: How to Obtain and Use Online Data with ArcGIS. Chapter 6: How to Create Geospatial Data with ArcGIS. Chapter 7: How to Edit Data with ArcGIS. Chapter 8: How to Perform Spatial Analysis in ArcGIS. Chapter 9: How to Perform Geoprocessing in ArcGIS. Chapter 10: How to Perform Geocoding in ArcGIS. Chapter 11: How to Perform Network Analysis in ArcGIS. Chapter 12: How to Use Raster Data in ArcGIS. Chapter 13: How to Use Remotely Sensed Imagery in ArcGIS. Chapter 14: How to Perform Spatial Interpolation with ArcGIS. Chapter 15: How to Work with Digital Elevation Models in ArcGIS. Chapter 16: How to Work with Contours, TINs, and 3D Imagery in ArcGIS. Chapter 17: How to Work with Lidar Data in ArcGIS. Chapter 18: How to Represent Geospatial Data in 3D with ArcGIS. Chapter 19: How to Utilize Distance Calculations in ArcGIS. Chapter 21: How to Build a Model in ArcGIS. Chapter 22: How to Use Hydrologic Modeling Tools in ArcGIS. Appendix A: Using Coordinate Systems in ArcGIS. Appendix B (online only): How to Customize Toolbars in ArcMap. 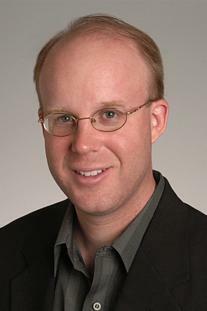 Bradley A. Shellito is a geographer whose work focuses on the application of geospatial technologies. Dr. Shellito has been a professor at Youngstown State University (YSU) since 2004, and was previously a faculty member at Old Dominion University. He teaches classes in GIS, Remote Sensing, GPS, and 3D Visualization and his research interests involve using these concepts with a variety of real-world issues. He also serves as YSU’s PI in OhioView, a statewide geospatial consortium. A native of the Youngstown area, Dr. Shellito received his bachelor’s degree from YSU, his Masters from the Ohio State University, and his doctorate from Michigan State University.